Like a "crazed Buddhist monk" from a "grade-B movie"; writing about nature, science, fly-fishing...and combat hapkido. Another newspaper called me “a living, breathing beer commercial.” The analogy, I hasten to add, referred not to my consumption of suds but to travels “in some of the globe’s most exotic and far-away places.” The article glossed over long hours at home trying to come up with words that sell. Enough of them to produce more than 80 books for adults and young people and a four-drawer file’s worth of articles for publications such as Audubon, Field & Stream, Outside, Wildlife Conservation, Science Digest, USA Today and Fly Rod & Reel. I still write on science, medicine and conservation for World Book. I write regularly as a contributing writer for Entomology Today, a web site produced by the Entomological Society of America. I have worked on exhibits development for many major zoos and aquariums and have consulted for clients ranging from the International Union for the Conservation of Nature (IUCN) and Wildlife Conservation Society to the government of Iran, in the days of the Shah. Perhaps the description of me that I treasure most appeared in a magazine read largely by fly fishing purists, recounting how I wielded a rod in a famed Croatian trout river. It alleged that I “looked and sounded like a crazed Buddhist monk in a grade-B karate movie.” Insulting? Not to a martial arts instructor who has been known to put a hooked worm at the end of a fly leader. Over the years, I’ve worn a fair number of hats. Newspaper crime reporter. magazine editor, curator at the New York Zoological Society, public relations advisor, zoo and aquarium exhibits developer, ambulance driver, firearms safety instructor, writing teacher for at-risk kids and graduate students, producer and editor of a bi-monthly magazine for the Connecticut Audubon Society. I am also a certified master gardener and have a stand selling home-grown produce at my Wannabe Farm. I have a zillion hobbies. Shooting, hunting and fishing. Birding. Gardening, even small-scale farming. Raising gamebirds. I have examples of every vertebrate class in my home: fish, amphibians, reptiles, birds and mammals. The mammal is my St. Bernard, Leland. 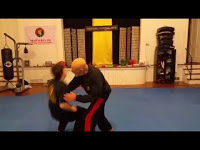 Martial arts occupy much of my life and I have studied several over the years. 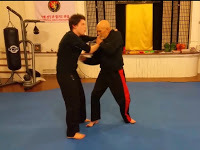 I am president of Green Hill Martial Arts, Inc. in Killingworth, CT, where I teach combat hapkido, a no-nonsense art that stresses street-wise self defense. I also study the ancient arts of black dragon kung fu and tai chi quan under Stephen Watson of Someday Farm in Killingworth, just up the road from my home. 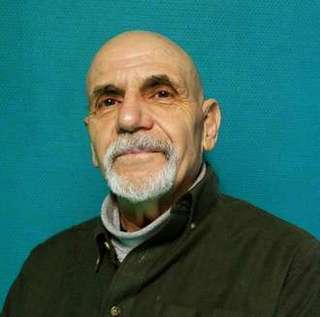 I earned my first-degree black belt in combat hapkido in 2009, at age 70 and now hold a fourth degree and a certificate as a senior instructor. Combat arts and self-defense are a lifelong interest. I fought my first catch-as-catch-can wrestling match at a backroom smoker when 15 years old. (I lost.) I've held three college boxing championships at Notre Dame, trained amateur and professional pugilists, worked as a corner man for professional matches and dabbled in no-holds barred fighting tournaments years before the popularization of mixed martial arts. Getting knocked around has helped me with a few editorial endeavors. The University of Notre Dame provided me with a bachelor’s degree in communication arts and the Columbia University Graduate School of Journalism appointed me a Sloan-Rockefeller Advanced Science Writing Fellow. I’m a former U.S. Marine reservist, who sometimes admits to also serving a year in the Army Reserve. Since 1971, I’ve been what some bank loan officers suspiciously view as a cover for a writer without a real job--a full-time freelance. My core subject areas have been nature, science, conservation and law enforcement, especially wildlife crime. However, almost anything in my experience can be turned into writing. I like to blend my different areas of experience into one piece of writing. Example: combining medical and outdoor writing to do a piece on lyme disease for a hook-and-bullet magazine. Or, as a recent book, using both science and crime-writing skills to explore the world of forensics. Unlikely combinations can lead to fresh angles. There’s nothing novel about writing on environmental politics but reporting on the subject from a war zone, as I have, is a different story entirely. I may be the only man alive who has stood on Andre the Giant's chest flexing muscles while the WWF star was flat on his back in a bar. Actually, he was easing his back pain and let me do it for a goof otherwise I wouldn't be here to write this. I also made the medical literature as perhaps the only person ever bitten by a coati on 57th Street in Manhattan. What about rubbing noses with a Cape buffalo? Gospel truth, it happened. In the dark of an African night, I peered under the rain flap of my tent to determine the source of a disturbance there. My nose came into moist contact with a massive black muzzle, behind which were a daunting set of horns and two eyes, as surprised as mine. What happened? Maybe I’ll write about it. Training with one of my students at Green Hill Martial Arts.